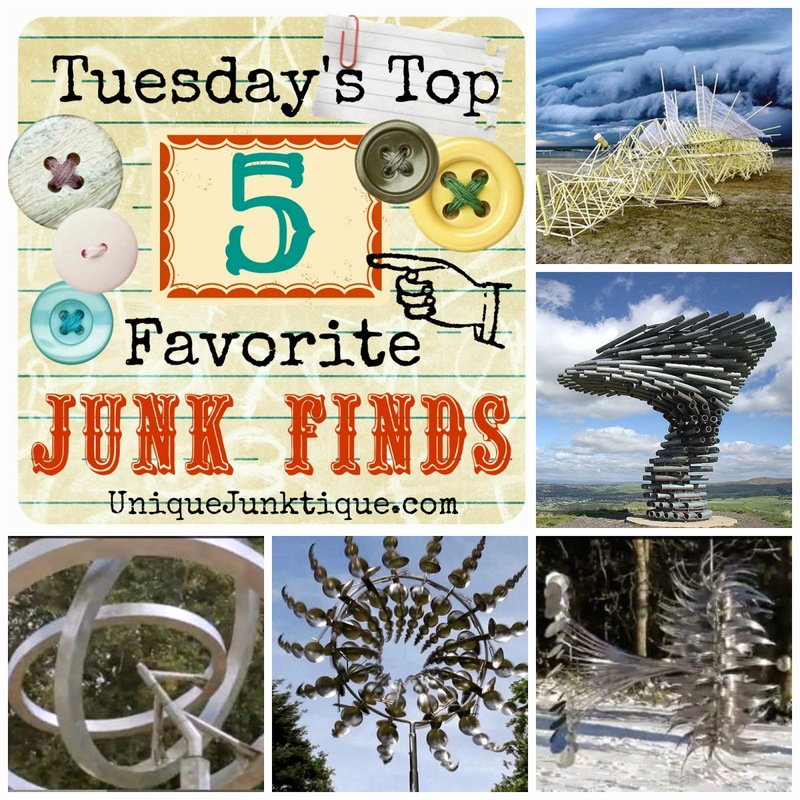 For this weeks Top Five I am sharing some incredible wind driven art sculptures both kinetic and musical. Videos are the thing this week as you really need to to hear and see them in motion to truly appreciate their wonder. *All photos and artworks featured in this round up are to be credited to the artists with their web links respectfully posted and may be subject to copyright. Next up Is Anthony Howe from Washington and his stunning, hypnotic sculptures in motion, simply amazing. Please have a gander! I had to include another Howe creation, they are so mesmerising! Next up is a Landmark wind driven musical sculpture designed by architects Mike Tonkin and Anna Liu. The Singing Ringing Tree, one of four sculptures for the Panopticons landmark series was created from galvanised steel pipes for the East Lancashire Environmental Arts Network. The installation utilizes the wind to produce a harmonious sound in several octaves and stands on Crown Point in the Pennine Mountain Range, just outside Burnley in Northwest England. As usual I have saved the best for last, be prepared to be amazed! Dutch artist Theo Jansen’s “Strandbeests” are driven by the wind, take on a life of their own, and are a sight to behold. Created with PVC pipes, fabric wings, electrode things in the pipes that can store the winds energy, these critters are the most incredible moving pieces of art I have ever seen. They remind me of Davinci’s sketches or something you would see in a science fiction movie.